“Hey, DTG, thanks for the kind words. In appreciation, I’ve set up a “free-shipping” promotional code for your viewers of your blog, good through this weekend. Use promo code “dtg” (without the quotes) at checkout when purchasing “The Law of Self Defense, 2nd Edition” at my blog (www.lawofselfdefense.com/shop/) and it will deduct the cost of standard (book-rate) shipping. And if folks would like their book autographed, they can indicate as much in the comments field at checkout. Weaponsman pointed out that Mr. Branca is the author of a very good book I’ve had in my library for over a year: “The Law of Self Defense“, and I was glad to see that, as it’s chock full of very, very good information. Consider looking it over and getting yourself a copy, either from his site or Amazon (and if you’re a ‘Kindle Unlimited’ subscriber, you can read it free), and while you’re at it, think about his offer of a free introduction to on-line training for the specific laws of your own state in regards to self-defense and use of force. Check it out, here. This entry was posted in Op-Ed, Preps, Training and Leadership on February 28, 2015 by Defensive Training Group. Time is on your side… Yes, it is. Pearls of wisdom in this post…H/T to WRSA and JMosby’s blogs. This entry was posted in Basic Skills, Preps, Training and Leadership on February 27, 2015 by Defensive Training Group. This entry was posted in Preps, Tools and Equipment on February 25, 2015 by Defensive Training Group. All you NPT medics out there should be reading and heading this series! Great information and training material. Thanks to the Hogwarts faculty for their continuing endavors. This entry was posted in Basic Skills, Preps, Tools and Equipment, Training and Leadership on February 20, 2015 by Defensive Training Group. Breitbart Rashad Hussain, a Muslim American with close ties to the White House, will replace Alberto Fernandez, the center’s director, according to The Times. 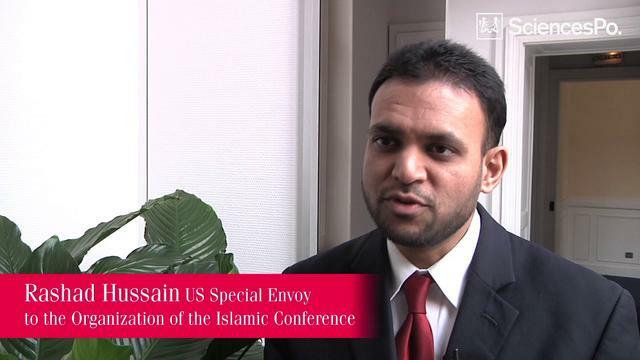 Hussain, who has reportedly participated in events linked to the Muslim Brotherhood, currently serves as Obama’s special envoy to the Organization of Islamic Cooperation. He will take over when Fernandez retires in April. This entry was posted in Op-Ed, Preps on February 19, 2015 by Defensive Training Group. Excellent commentary! As has been said here and other places, you cannot become that which you fight and hope to achieve your objective when victorious. H/t to SLL for the latest Brandon Smith piece. There’s gonna be a fight. This entry was posted in Uncategorized on February 19, 2015 by Defensive Training Group. A picture is worth a thousand words…maybe more. This is a very, very recent NOAA satellite picture. Drudge links to this headline: http://www.mlive.com/weather/index.ssf/2015/02/arctic_blast_sends_great_lakes.html 82.3% of the Great Lakes are covered in ice. More than last year at this time. In the last 24 hours, the ice has grown over 4,750 square miles. Over. Night. Got a Wiggy’s sleeping bag? Might want to start saving pennies….just saying. 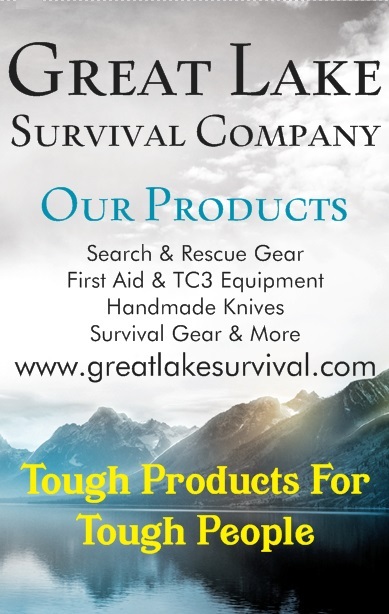 If you want to get one, you can get them here: http://www.greatlakesurvival.com/shelter–sleeping-bags.html Tell them DTG sent you. Southfield police have arrested a 39-year-old man who allegedly stabbed two other men multiple times at a bus stop near Northland Mall in Southfield Saturday night. Nick Loussia, Deputy Chief of Police for the Southfield Police Department, said Thomas “is Muslim, and asked the victims what religion they were” before allegedly attacking them. A reasonable conclusion drawn from just the above links and the reblog below is that the probability that life, no matter where in the USA you happen to live, will become exponentially less civil is leaning toward becoming a certainty. Got PT? Got NPT? Got training? These people will not hesitate to kill you any way they possibly can. They are training their children as you read this. What’s the probability that some of these, ‘kids’ will be brought into the country as the mass immigration continues? This entry was posted in Basic Skills, Op-Ed, Preps on February 19, 2015 by Defensive Training Group. Just remember that depending on your METT-TC considerations, emitting RF may be a career-limiting move. This entry was posted in Uncategorized on February 18, 2015 by Defensive Training Group. Not that Islam is a threat here in CONUS. This entry was posted in Basic Skills, Op-Ed, Training and Leadership on February 18, 2015 by Defensive Training Group.